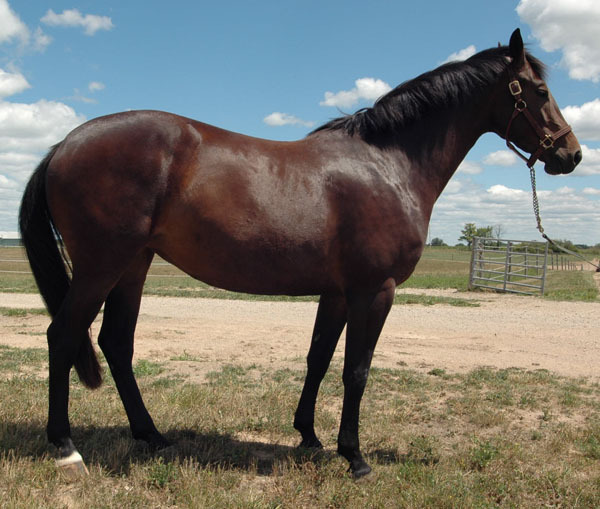 2004 bay mare by Goodtimes out of Pikina Field (Corland). Zikina has very good gaits. Under saddle since Spring 2007. Her sire produces atheltic looking jumpers with excellent movement, including some good dressage horses. Her dam sire, Corland, is one of the top jumper stallions at the world renowned VDL Stud, with a jumping index of 139. His offspring's perfomance in the U.S. have caused him to be reanked in the top 20 of hunter sires 2007-2009 and top 30 jumper sires 2008 and 2009. She is now jumping under saddle and will compete in local shows. She looks great over jumps and has a big engine with a nice pace around the course.